When will be Something's Killing Me next episode air date? Is Something's Killing Me renewed or cancelled? Where to countdown Something's Killing Me air dates? Is Something's Killing Me worth watching? Something's Killing Me is a 6-episode medical mystery mini-series that investigates puzzling diseases and symptoms that result in a life or death struggle. Each episode chronicles a race against time to discover what or who is killing the patient? Doctors, scientists, and, in some cases, federal investigators act as medical sleuths to solve a mystery in which life literally hangs in the balance. Cases include a fatal form of insomnia and anthrax poisoning. Patients surface with similar symptoms and doctors have to act fast if they hope to save lives. In April of 2012, 61-year-old Mark Staudte, a father of four and local musician from Springfield, Mo., abruptly became ill. Nine months later, his 24-year-old daughter suddenly became ill and was hospitalized in critical condition. Physicians discover a strange, genetic disease that causes progressive neurological deterioration in children. On Sept. 29, 1982, seven unsuspecting Chicago-area residents are stricken, and then die under mysterious medical circumstances. When the actual cause of death was discovered, a task force was formed to investigate. 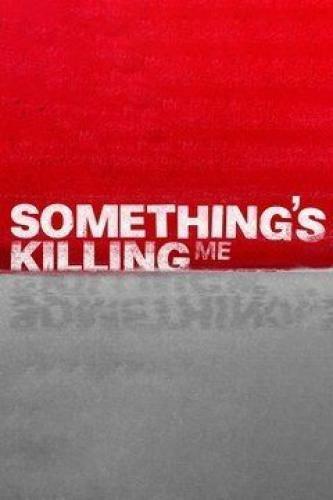 Something's Killing Me next episode air date provides TVMaze for you. EpisoDate.com is your TV show guide to Countdown Something's Killing Me Episode Air Dates and to stay in touch with Something's Killing Me next episode Air Date and your others favorite TV Shows. Add the shows you like to a "Watchlist" and let the site take it from there.